Sorry for such a short post – the next one will be longer, I promise! Great Horneds have nested about 35 feet up in the palm tree in my back yard three times now. Unfortunately (to my mind) it was 2 different pairs. The first pair was hit by a car during their courtship flight the third year around. I’d like to think it was one of their offspring from that first year that came back and nested in the same nest last year. 2 fledged successfully, the third broke it’s neck when it jumped from the nest. One babe stayed in our yard and sheltered on our back porch most nights – made life difficult for our cat who was scared to death of the fledgling. It eventually moved into the mesquite tree where it could get higher off ground. Absolutely love the parents talking to the babes whenever dog/cat or human comes out of the house. Different tone of call for each of us. Dog worried them the most. 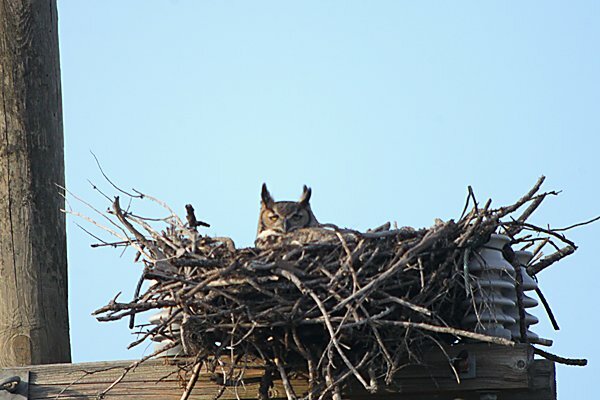 Owls have migrated back into town (they spend the hot summers in the high country) but I have seen no signs of anyone using the nest this year. Have some great photos of last year’s babe. And don’t be fooled by the numbers. I am actually doing rather well considering the species I’ve seen so far. And did I mention I had a nice Eagle Owl encounter just yesterday? Such classy birds. Ha! I immediately knew that I’d seen that owl the second I laid eyes on your picture. 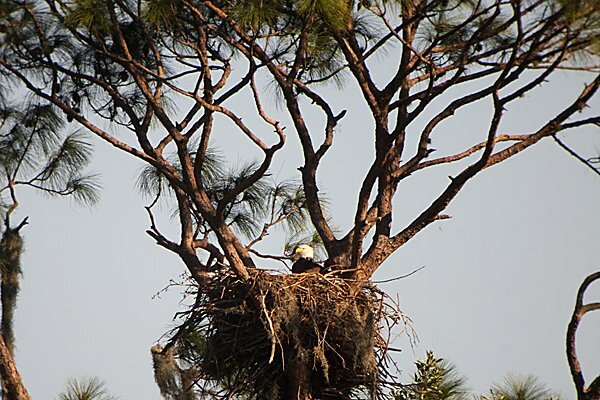 It’s been over a year since we’ve been to Merritt Island, but that nest must have made an impression on me. Both those birds can be seen on nests in NJ/NY/PA/CN in late January too. This year during our balmy January I had three other birds on nest up here in the northern Mid-Atlantics, Mourning Dove (three different locations, Rock Dove Pigeon or whatever it is called this week and Barn Owl (PA and NJ). Florida is great, but for nesting season, you can’t beat the north!